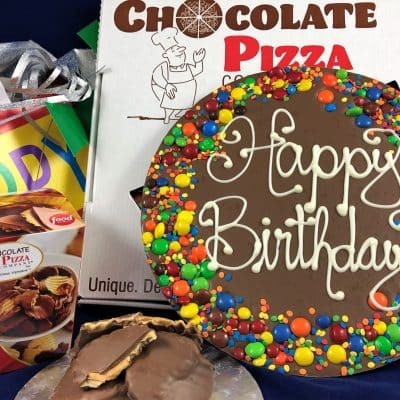 Birthdays just got a whole lot sweeter with this Chocolate Pizza and Peanut Butter Wings Combo! 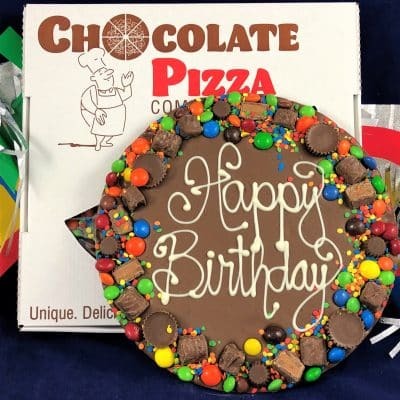 Start with a hand-decorated Chocolate Pizza in milk or dark chocolate blended with homemade English toffee and surrounded by a Candy Avalanche border with a dizzying array of chocolate and peanut butter favorites. 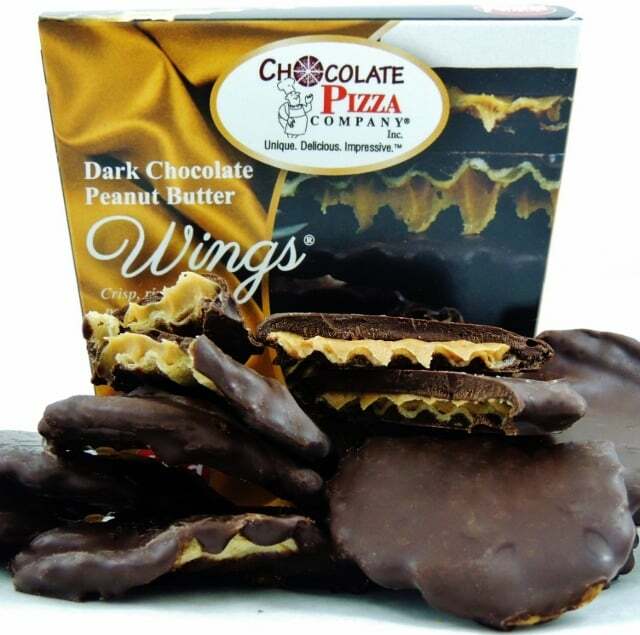 Then add our famous milk or dark chocolate Peanut Butter Wings – crisp, rippled potato chips covered in creamy peanut butter and dipped in chocolate for a salty-sweet taste sensation. Make an impression they will remember! Birthday gifts are some of the hardest presents to shop for. You want the birthday gifts to be unique and fun. 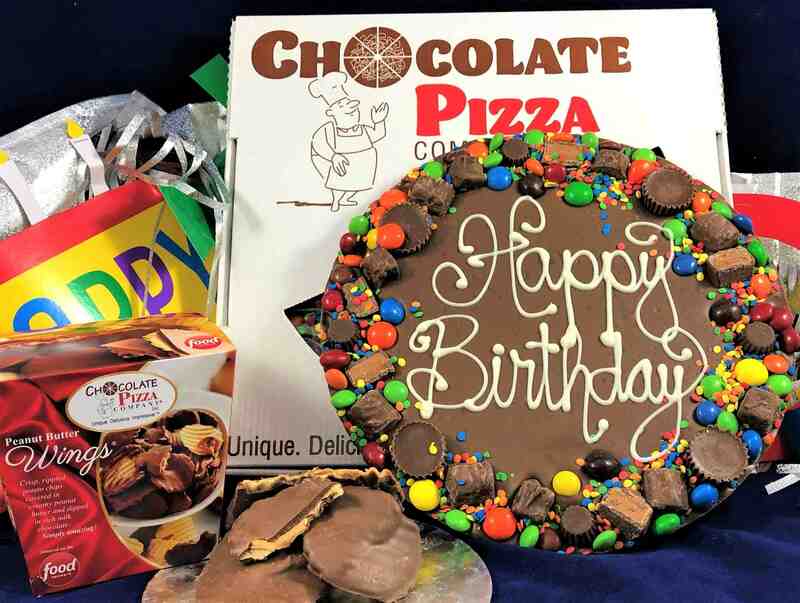 Well search no more because you found the Combo Happy Birthday Avalanche border Chocolate Pizza and Wings. 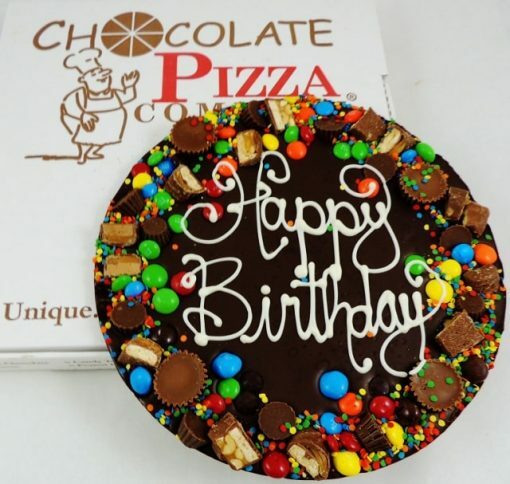 Birthday wishes just taste better when they come in chocolate. 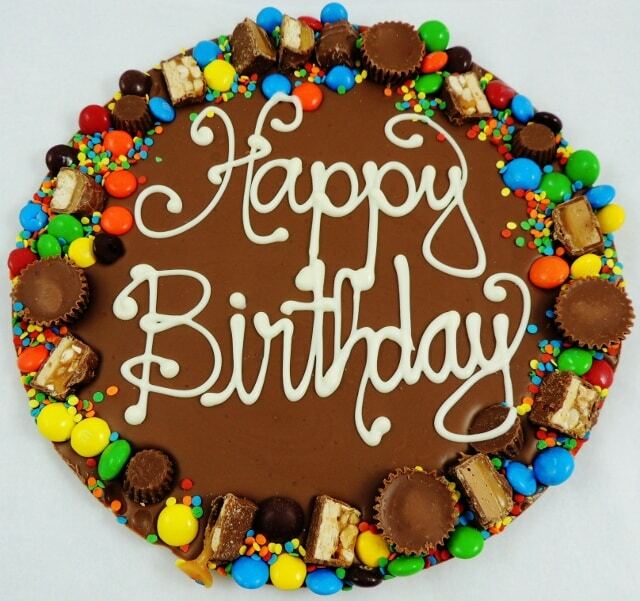 We handcraft Happy Birthday wishes in white chocolate and then surround it with an avalanche of chocolate and peanut butter candy favorites. Of course, underneath it all sits our gourmet milk or dark chocolate blended with homemade English toffee. Then we add our famous Peanut Butter Wings. 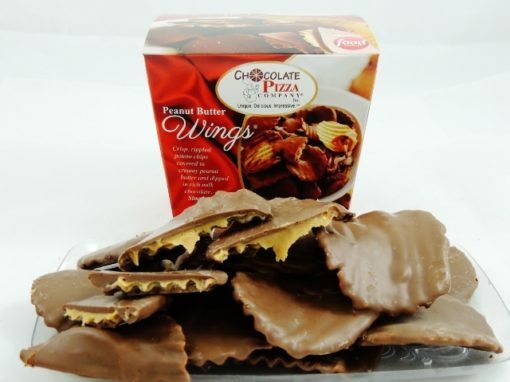 These are crisp, rippled potato chips covered in creamy peanut butter and dipped in chocolate. They’re a salty-sweet masterpiece. Put the two treats together and presto you have the Combo Happy Birthday Avalanche border and Wings. Add a gift note and your birthday shopping is over. Well done! National media outlets have featured Chocolate Pizza and Peanut Butter Wings including Food Network’s hit show, Unwrapped, NBC’s Today Show, ABC News and Food Factory which aired on Food Network Canada. 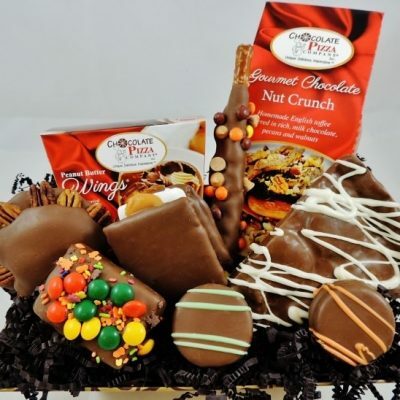 Whatever the occasion, business or personal, whether you need one Combo Happy Birthday Avalanche border and Wings or thousands, this is a gourmet chocolate gift that is perfect for any occasion.